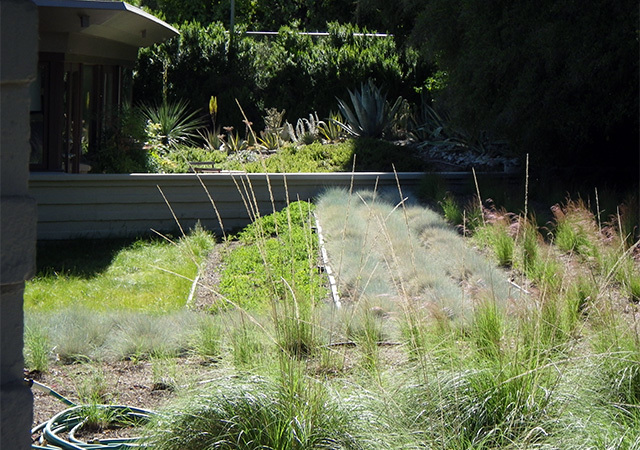 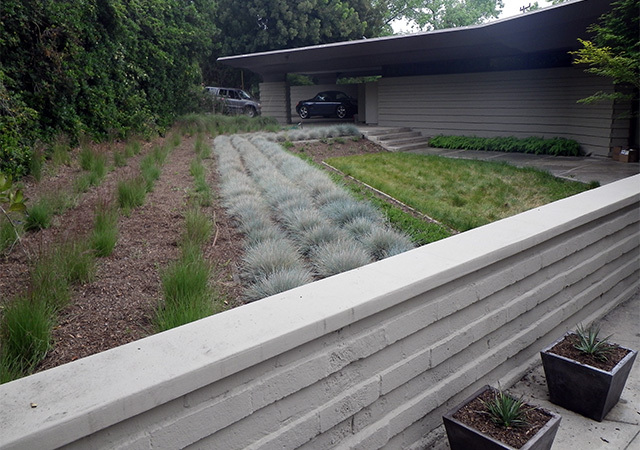 The owners used a predominantly native plant palette to restore the large, rambling terraced landscape of a 1948 Mid-Century Modern house designed by Lloyd Wright Jr. (son of Frank Lloyd Wright). 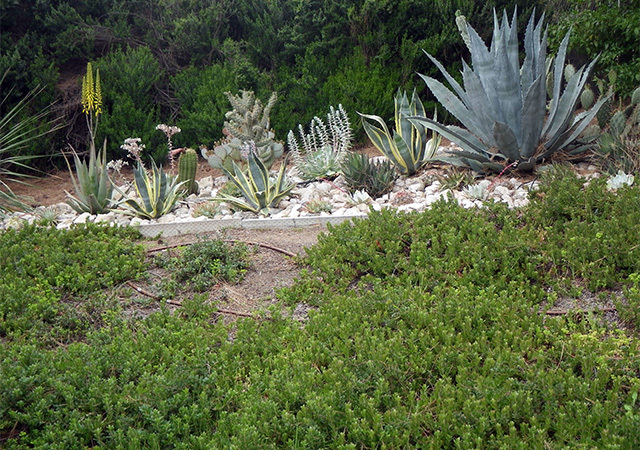 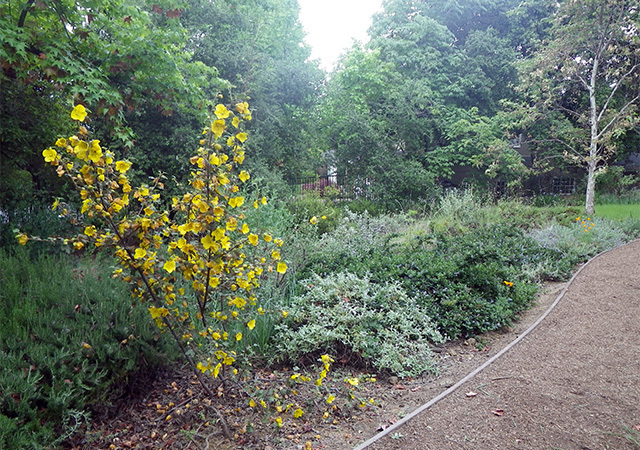 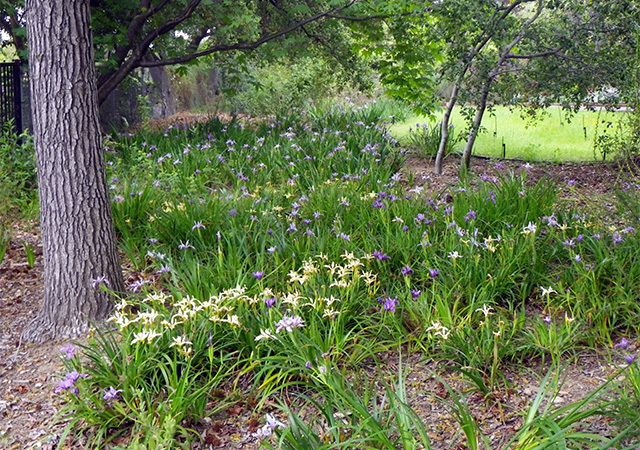 The garden, begun in 2004, includes areas of sun and shade, and transitions from formal placement near the house to a naturalistic setting in the lower yard. 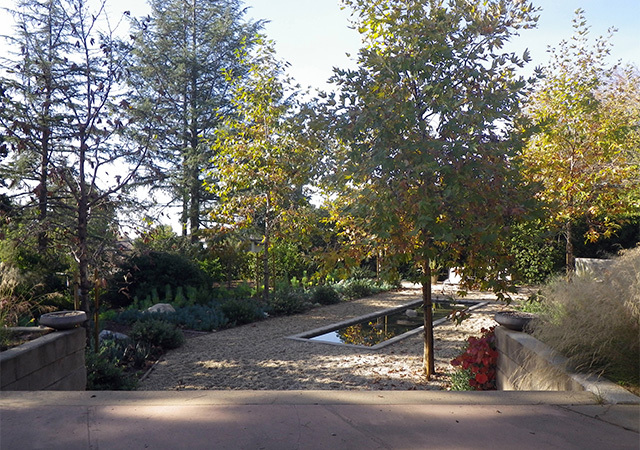 An energy- and water-guzzling swimming pool was replaced by a formal garden, designed by Dryden Helgoe Landscape Design, featuring California native trees and succulents surrounding a reflecting pool.